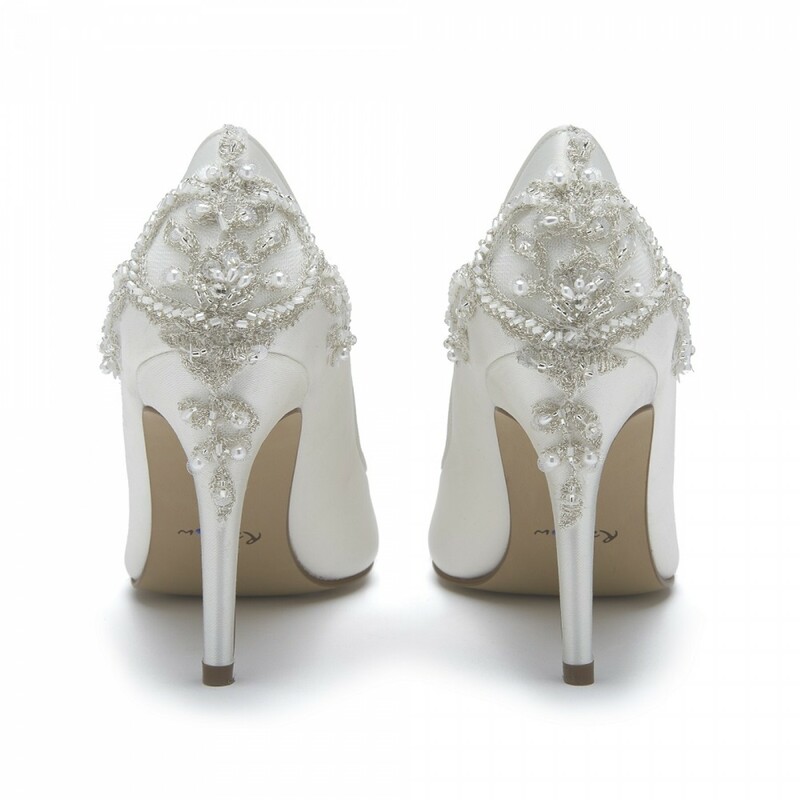 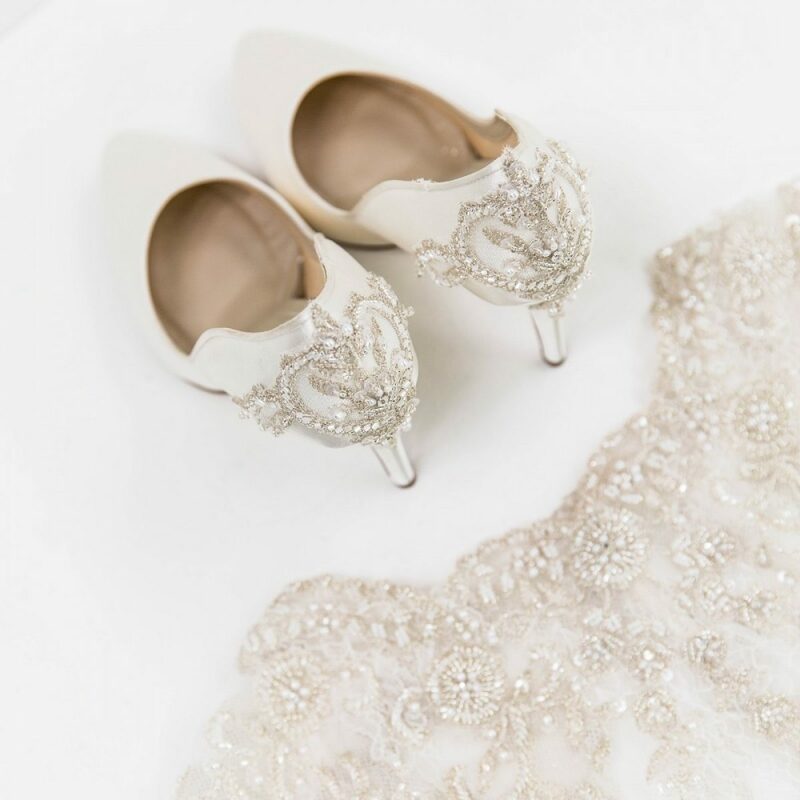 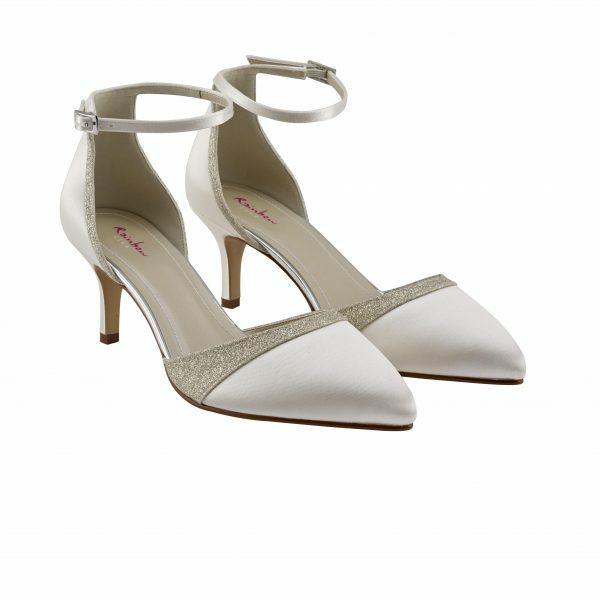 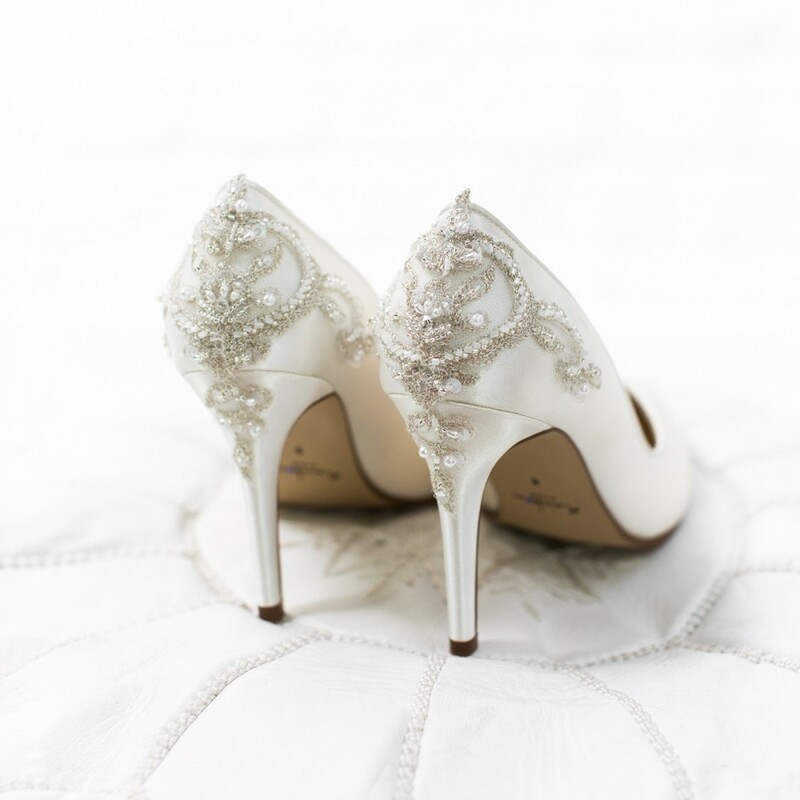 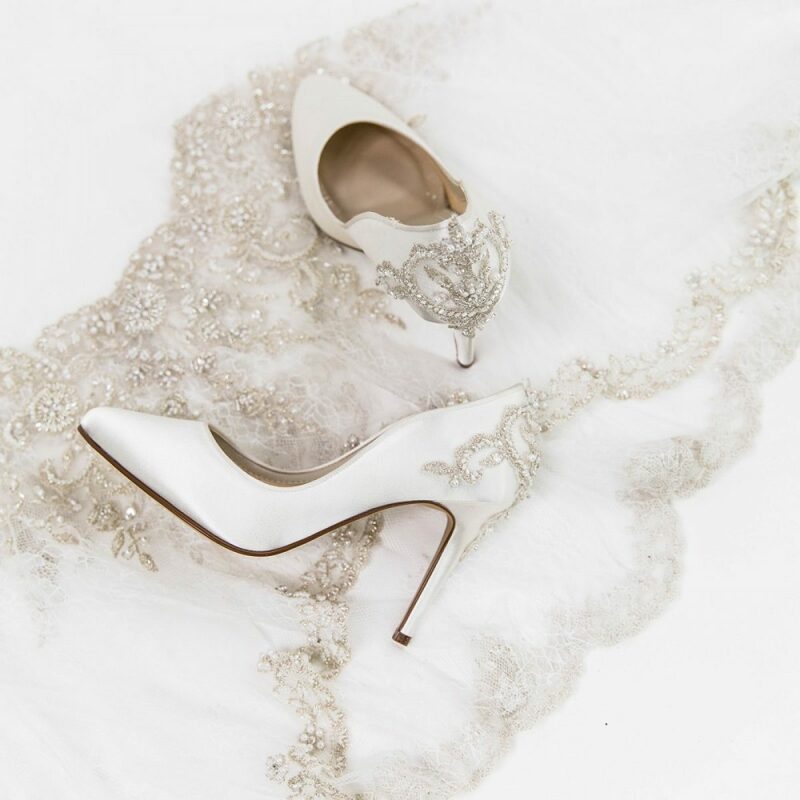 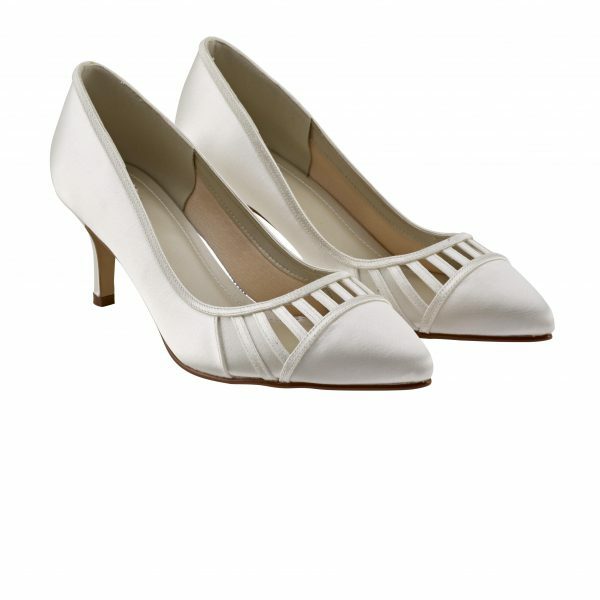 An exquisite high heel bridal court shoe in luxurious, Willow features an elegant almond-shaped toe and is finished with most beautiful embellishment on the heel by Ivory and Co.
Also boasting Rainbow’s unique cushioned lining for bliss comfort all day long! 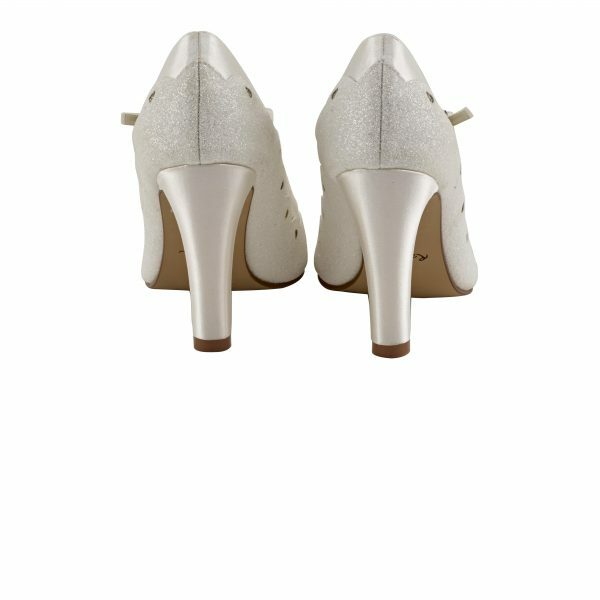 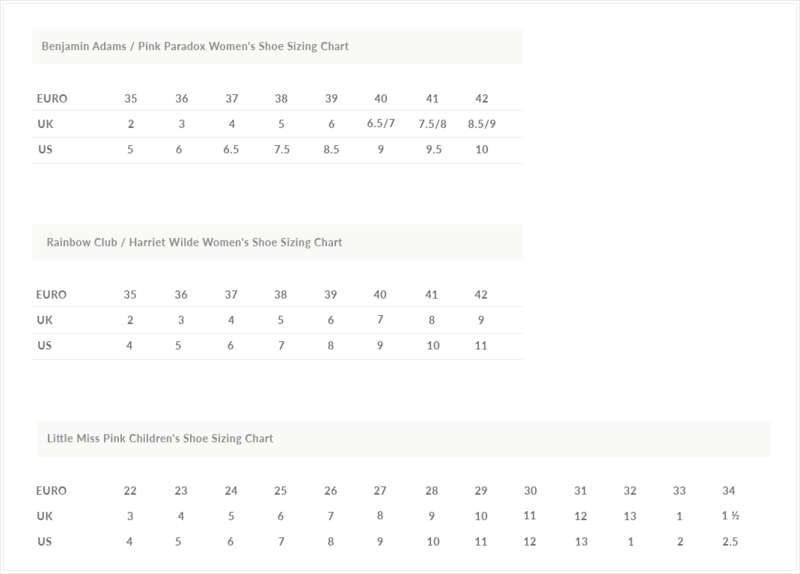 And as with all Rainbow Club bridal shoes, you’ll discover a hidden blue crystal in the soles as your ‘something blue’. 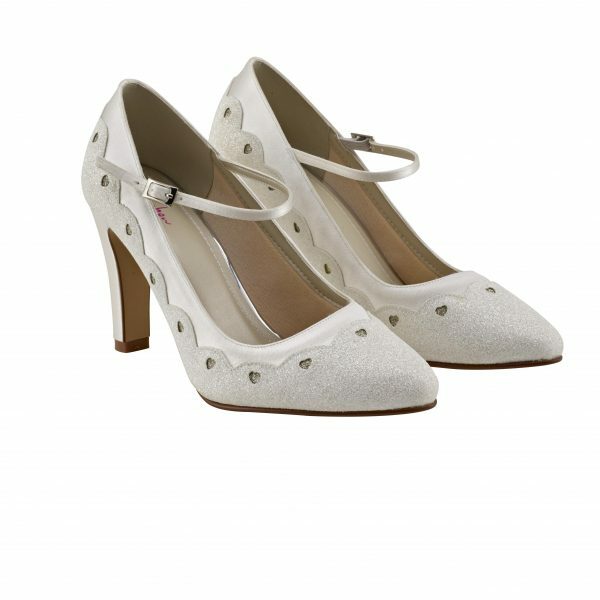 Pink Paradox Melby in Champagne. 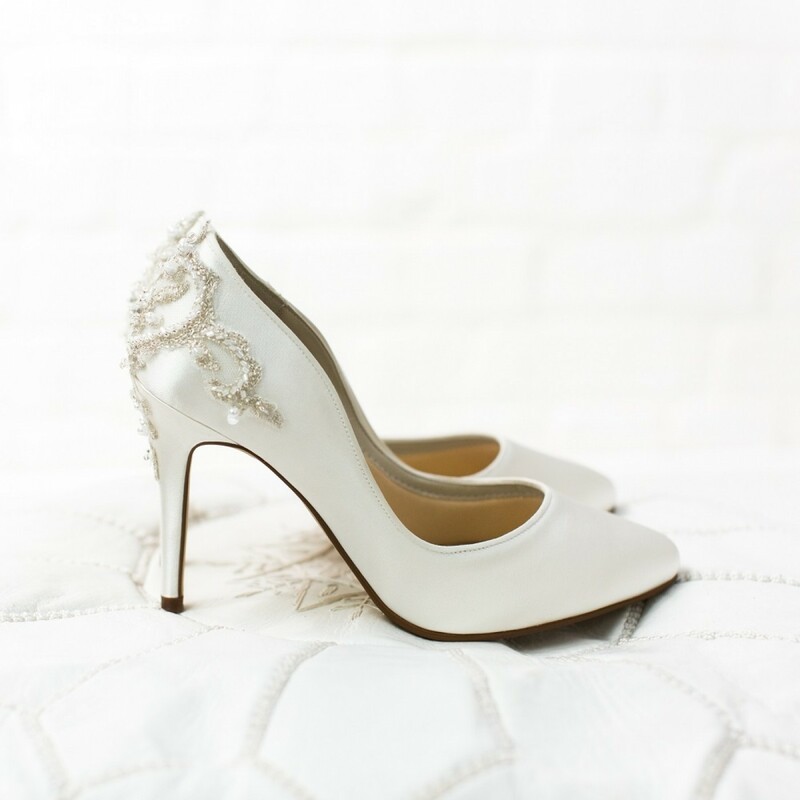 A stunning, contemporary Champagne Glitter design, mid-height heeled, closed back, Vintage inspired strappy wedding sandal, with a Champagne piping and ankle strap fastening!